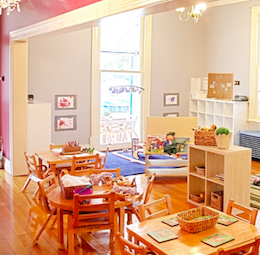 Finding the right childcare centre for your child is a challenging task for any parent. 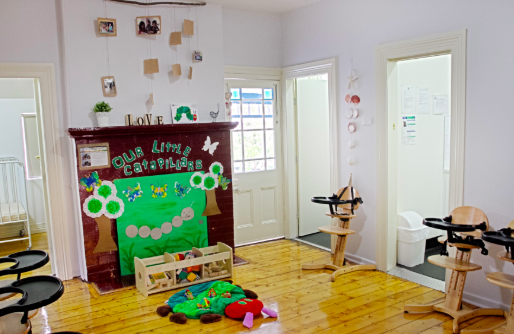 As a Sydney childcare centre, we understand what the parents go through in researching the services and available slots of each childcare centre in the area. After all, you want to ensure that your child will have a fun-filled learning environment. To ease this challenge, we want to assist you in finding the childcare centre that is perfect for your situation. Kinda Mindi Early Learning Centre is a family-owned and operated childcare service provider for children aged 6 weeks to 6 years old. To learn more about our childcare services, visit our centres located in Kellyville, Kellyville North, Castle Hill and Glendenning or complete our contact form for more information. Whether you are just starting your research on childcare service providers or already visiting centres on site, take note of the following considerations. Here are 3 things you need to consider when evaluating childcare centres. 1. What is the educator-to-child ratio? The National Quality Framework (NQF) specifies the minimum child ratio requirements for childcare services. For family day care services, there should be one educator to seven children. For centre-based childcare service providers, there should be one educator to four children for 0-24 months old children, one educator to five children for the 24-36 months old age group, and one educator to ten children for the children older than 36 months. The childcare centre should satisfy the requirements at a minimum. However, a lower childcare ratio would be ideal. If there are too many children, the classroom would be more chaotic and the teacher’s attention would be divided. 2. What are the credentials of the educators and staff? The early years are some of the most crucial time in your child’s development. Well-trained educators understand how children develop during this time and thus, they will be able to meet their needs properly. The level of training of educators and staff is an indicator of the educational quality of the childcare centre. They should at least have a certificate in early childhood education. 3. What do other parents think of the childcare centre? When you visit a childcare centre for a tour, the staff would obviously say only the best things about the centre. To get an unbiased evaluation of a childcare centre, get the opinion of parents who currently use the services of the centre or have used it in the past. If you don’t know where to start, ask the parents from your community or your church. You can even ask for a recommendation on social media and check some of the reviews of the centre online. These are just some of the most important things to keep in mind when evaluating a childcare centre. If you want to learn more about our educator-to-child ratio, our staff credentials, and everything else about our childcare centre, we’ll be glad to help. You may contact our centres near you or complete our contact form for more information.